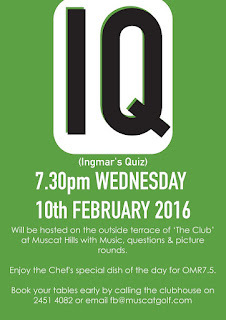 General all-around nice guy, Ingmar, after having tried to live in Africa for a few months recently is back in Muscat once again, and I think this might be the second or third weekly quiz he's run since his return, but I've been lazy at blogging lately so I'm only just now getting around to it. 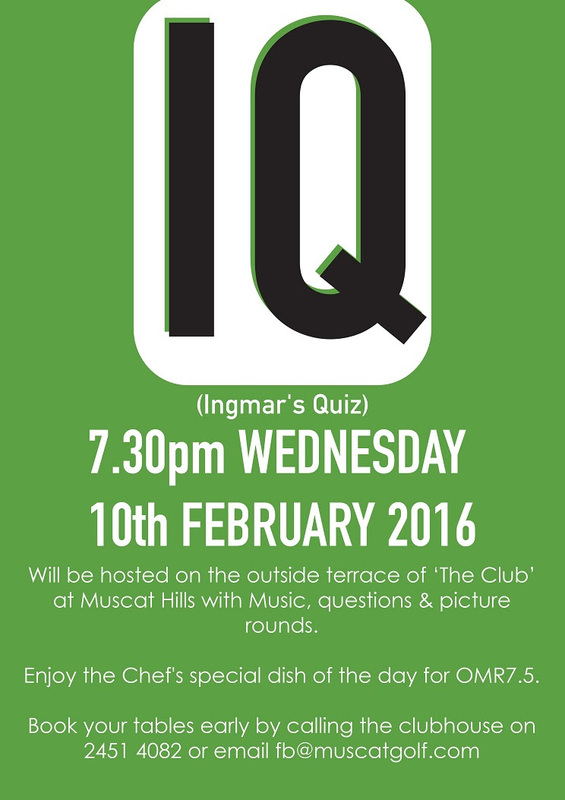 Held at the Muscat Hills clubhouse, IQ (Ingmars Quiz) is pretty popular, it starts at 7:30pm and you can get a chef's special dinner for RO 7.5 too. Anyway, if you like pub quizzes, this ones pretty fun.